This wallpaper was inspired by cover of Pink Floyd album "The Dark Side Of The Moon". There's impossible triangle instead of prism, which refract the beam of light. 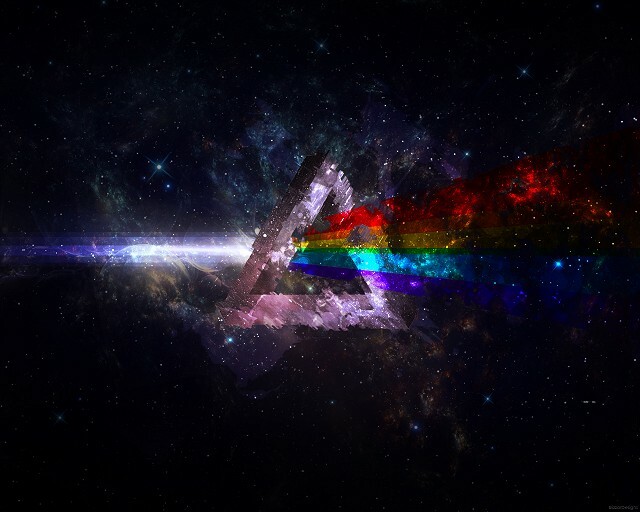 You can download this wallpaper in 1280x1024 size at http://gfxforums.net/threads/pink-floyd-dark-side-of-the-moon-wallpaper.31504/.